We are entering the UEFA Champions League at the third qualifying round and facing Macedonian Double winners KF Shkendija there. 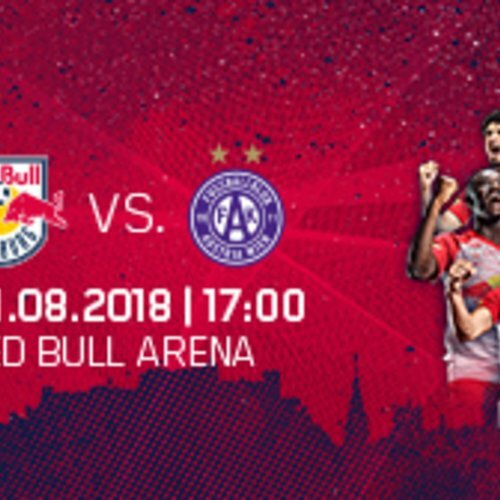 the first leg at the Red Bull Arena takes place on wednesday 8 August at 19:00 CET (live in austria from 18:00 on PULS 4). Qatip Osmani's team, who have never been in the group stage of a UEFA competition previously, were runaway Macedonian champions last season (35 points ahead of Vardar Skopje) and were most noted for their attacking prowess - scoring over 100 goals. While we have already played two Austrian Bundesliga and one cup match this season, the Macedonian league does not start until this weekend. Shkendija made the third round of Champions League qualifying thanks to wins against New Saints (WAL/5-0, 0-4) and Sheriff Tiraspol (MOL/1-0, 0-0). 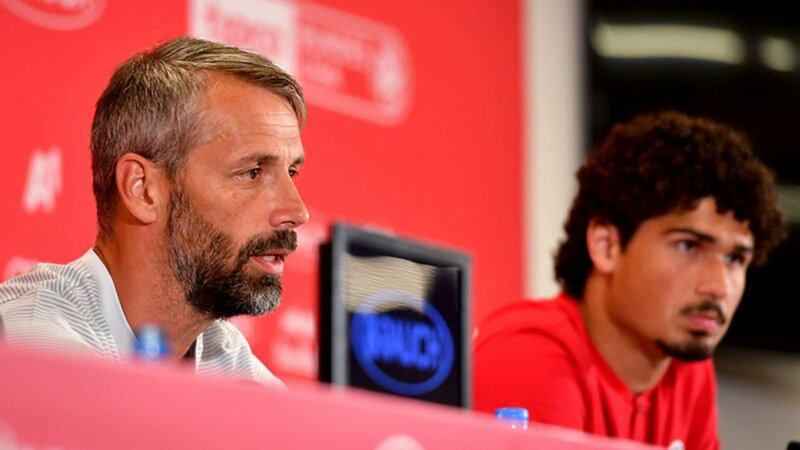 Their win against the Moldovans, who last season took nine points in the Europa League group stage, was a bit of a shock. Patrick Farkas (knee), Fredrik Gulbrandsen (thigh) and Kilian Ludewig (ankle) are out injured. Alexander Walke is a doubt due to a hip injury, as is Stefan Lainer (cold). Amadou Haidara is out of the first leg suspended. Shkendija were runaway Macedonian champions and cup winners, and have already made it through two rounds of qualifying. They are sure to be difficult opponents who we need to be at our best against. It's a Champions League match, after all, so everyone is sure to be giving their all. Anyone talking already about the Champions League play-off is making a big mistake. Shkendija have plenty of quality in attack, above all. We need two very concentrated performances to make the next round.